You'll also need a $1$-$6$ dice, and a grid like the one below. You can print some off here. Now, can you change the game to make your own version? How do you know where to put your dots? There is a poster of the game here. 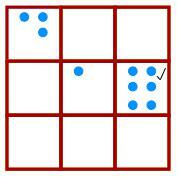 The game as introduced is intended for KS1 children who are just beginning to become confident with small numbers. However there are many variations, some suggested below, that make it suitable for older children. Consolidation of basic number facts is combined with an element of strategic thinking. 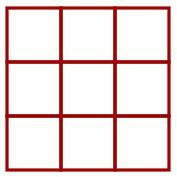 Easier version: small children could use counters on a large grid. 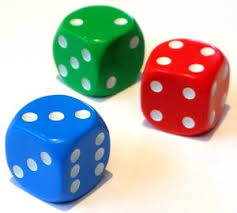 They could begin with six counters in each box and take away the number thrown on the dice. Games. Video. Multiplication & division. Representing numbers. Reading and writing numbers. Working systematically. PrimaryGames-Number. Counting. Addition & subtraction. Trial and improvement.